Have you considered booking a West Wendover vacation package? It's easy with Expedia, and you'll be able to buy some nice meals or presents for your buddies back home with the cash you save. You can choose from more than 400 partner airlines and 321,000 worldwide properties on our comprehensive database of lodgings and flights. Fly with who you want, stay where you want — now that's a dream vacation! Need more time to decide? There is no cancellation fee from us if you change your mind for almost any reservation. There's no end to the number of wonderful things you can do when you visit a new destination. So why not get your trip to West Wendover off to a sensational start by perusing some of our suggestions? After all – out there starts here! Sure, jamming out to tunes on your computer is nice, but nothing comes close to the atmosphere of witnessing a fantastic live performance! So why not catch a show at Peppermill Concert Hall? Adventurers have a great range of options in and around this destination. Getting out on the green is a great way to stretch your legs and have a blast. Challenge your technique with a friendly round at Toana Vista Golf Course. Still have time to spare? Take to the skies on an adventure through aeronautical history at Historic Wendover Airfield Museum. From single-man planes to jumbo jets, the modernization of flight never fails to amaze. If you're seeking out luxury getaways or cheap vacations in West Wendover, make sure you book a place to stay before you leave. There are only 5 Expedia properties currently available. 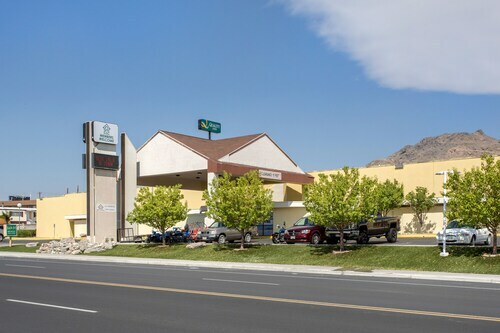 If you're on the lookout for accommodations with awesome reviews and nice beds, look no further than the Best Western Plus Wendover Inn (685 E Wendover Boulevard) and the Quality Inn Stateline (245 E Wendover Blvd). 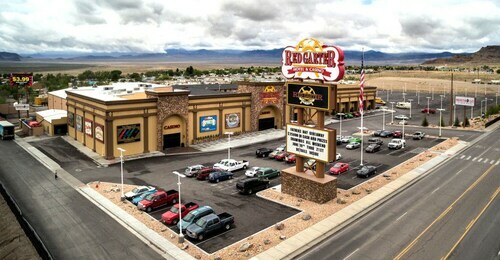 Getting ready for your trip to West Wendover? Wondering where you'll be flying into? Wendover Airport (ENV) is your most convenient option. Once you've disembarked and strolled out of the arrival gate, you'll be 2 miles (3 km) from the downtown area. 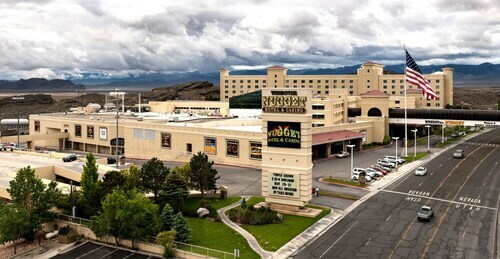 Situated in West Wendover, this hotel is within a 15-minute walk of Wendover Nugget Casino and Peppermill Casino. Historic Wendover Airfield Museum and Toana Vista Golf Course are also within 3 mi (5 km). Situated in West Wendover, this golf hotel is 0.5 mi (0.9 km) from Peppermill Casino and 1.1 mi (1.8 km) from Wendover Nugget Casino. Toana Vista Golf Course and Historic Wendover Airfield Museum are also within 3 mi (5 km). Situated in Wendover, this hotel is within 1 mi (2 km) of Historic Wendover Airfield Museum, Wendover Nugget Casino, and Peppermill Casino. Toana Vista Golf Course is 3 mi (4.8 km) away. 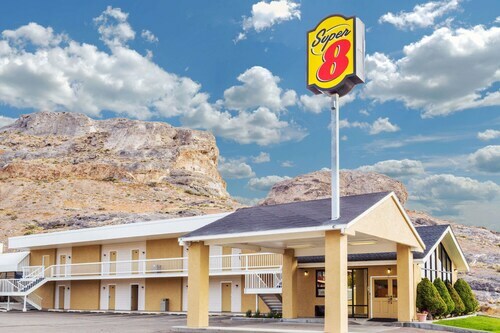 Situated in Wendover, this motel is within 1 mi (2 km) of Historic Wendover Airfield Museum, Wendover Nugget Casino, and Peppermill Casino. Toana Vista Golf Course is 2.9 mi (4.6 km) away. Situated in Wendover, this hotel is within 1 mi (2 km) of Historic Wendover Airfield Museum, Wendover Nugget Casino, and Peppermill Casino. Toana Vista Golf Course is 2.8 mi (4.6 km) away. 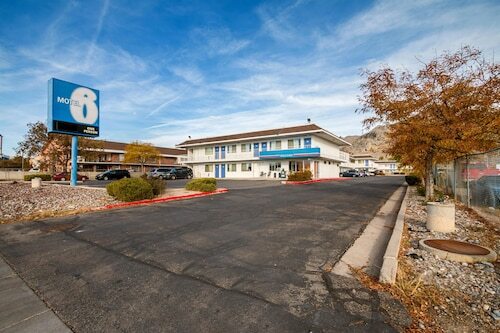 Situated on the Strip, this motel is within 1 mi (2 km) of Historic Wendover Airfield Museum and Wendover Nugget Casino. Peppermill Casino is 1.4 mi (2.3 km) away. 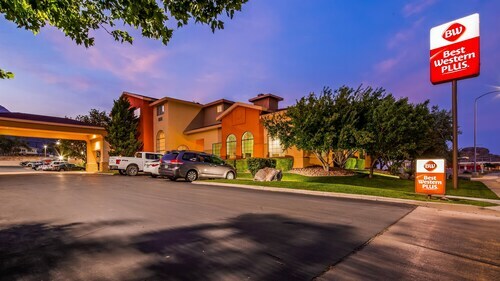 Located in the heart of Wendover, this hotel is within 1 mi (2 km) of Historic Wendover Airfield Museum, Wendover Nugget Casino, and Peppermill Casino. Toana Vista Golf Course is 2.6 mi (4.3 km) away. Tue., 18 Jun. - Sun., 23 Jun.